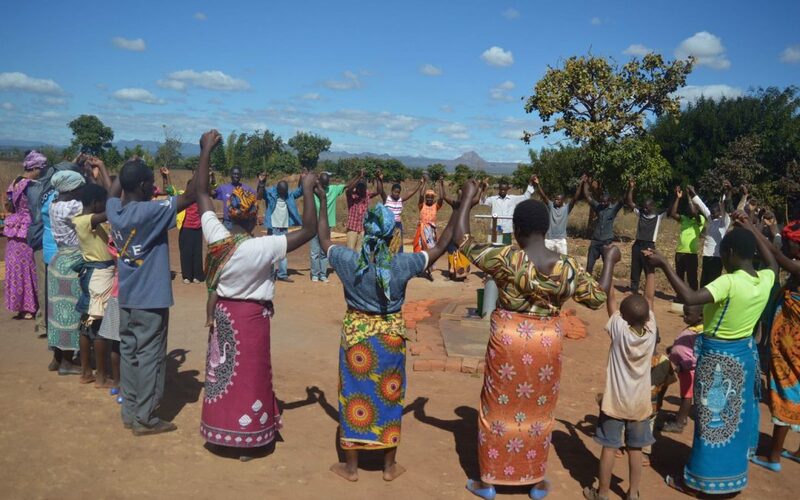 This past spring a new deep borehole well was drilled in Chatimba, Malawi. How that well came to be drilled is just one small part of Vancouver’s Master Coffee Roaster Brian Turko’s miraculous story. Or perhaps better said—miraculous His-story! Turko, who owns four of the west coast’s most trendy and reputable coffee bars, and has won 12 gold medals for espresso from the International Institute of Coffee Tasters in Italy, has been touted by the Vancouver Courier to be one of Vancouver’s few and true “Coffee Rockstars”. He is also a son of God. On a phone interview with Turko in June, he explained how he grew up in a poor family on the wrong side of the tracks in East Vancouver. Thankfully, Turko explained that he had a spirit-filled Catholic aunt who predicted that he would one day become a philanthropist. Despite his mother’s well intended “realistic” dissuasions, Jesus found Turko in his early 20’s, and the fulfillment of God’s plan for his life followed. During an interview last week, Turko explained how while living through the recession, he used to chat with the Lord while jogging. Though he was unable to afford a post-secondary education, he boldly asked the Lord for favour to acquire a job with a salary equivalent to that of a doctor. Before the trendy Starbucks was even thought of, being a committed believer, rather than spending his time like other 20 somethings in bars, Turko would hang out in Italian coffee shops. It was there where God began to answer his prayers, exceedingly and abundantly beyond what he could ask or imagine (Ephesians 3:20-21)! As I listened to him speak, Turko’s story called to mind the biblical story of Joseph; a young dreamer who overnight went from the prison to the palace (Genesis 41:1-57). Turko explained how he struggled his way from delivering papers and shining shoes to make ends meet to reach his goal of being debt free. Then suddenly, divine appointment after divine appointment brought him to the place where he is today; Coffee Master and successful entrepreneur owning not one, but four Vancouver coffee bars. According to Turko, God would often miraculously supply what he needed for investments, at times, right down to the penny! This brings us to last December. WOW’s founder, Jim Cantelon, had just returned from Africa with a mandate from the Lord to drill two wells. Though he did not yet have a partner with a clear heart or vision for water, Jim knew the God of more than enough (2 Corinthians 9:8) would come through. Cantelon had met Turko just a year before through a mutual contact who knew Turko’s heart for philanthropy, and particularly water. It was Turko who felt led to reach out to Jim, just before Christmas, not knowing Jim’s new-found mandate. “It was December 21.” (To this day, Turko still recalls the exact date). To Turko, it was confirmation. “Ask and you will receive,” said Turko, quoting the Lord’s words in Matthew 7:7, and claiming that God put within him a “burning desire” to see this well drilled. Turko explained that he had often struggled with feeling guilty over not becoming a pastor or a missionary. However, he explained how building these wells allows him to feel that he is being used right where he is. Again, Turko recalled Matthew 10:42 where Jesus commended those who “give a glass of water to the little ones, you do it unto me”. Though Turko admits that he is not a missionary or pastor, he is giving endless cups, to an entire community, where the love of Christ is being displayed, and the is gospel being preached. The two knew right away that this was “a God thing”. Turko did not hesitate. By December 31, the money was sent. By March, the well was drilled. But just how important are deep borehole wells in Malawi? Just this past April, CNN ran a story on a recent cholera outbreak in Lilonge, not far from Turko’s new borehole site in Chatimba. The article stated that the Ministry of Health had reported that 893 people were ill from the outbreak, and 30 people had died, claiming the outbreak was directly correlated to contaminated water and poor food hygiene practises. Thus, Turko’s well will not only provide “a cup of clean water to these little ones,” as Jesus has commanded, but it is also saving lives for years to come! Turko’s well was drilled in March. It now serves 200 people everyday in the village of Gundamtengo located in Group Chatimba. It also serves an additional 50 people from the outlying areas surrounding Gundamtengo. These figures do not include the children served by the feeding programs who also enjoy the use of access to clean water from this well daily. To find out how you can supply fresh water to a village like Gundamtengo contact WOW today! * This video is a recording of Turko’s well dedication ceremony June 2018.